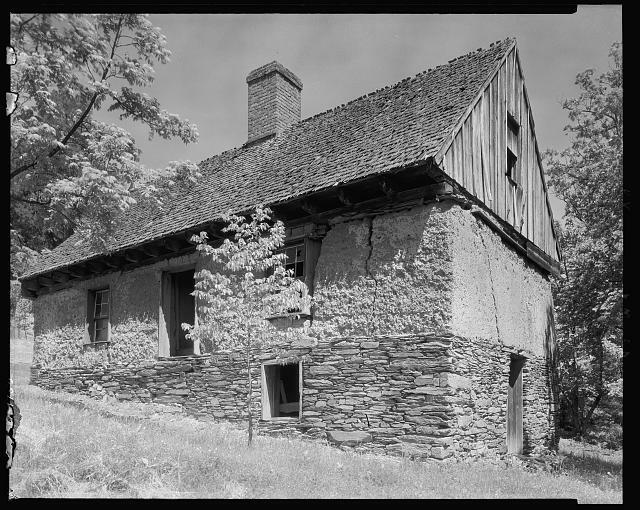 The people who lived enslaved in Central Virginia at plantations like the Bremo properties were highly industrious and skilled laborers who provided much of their own food. 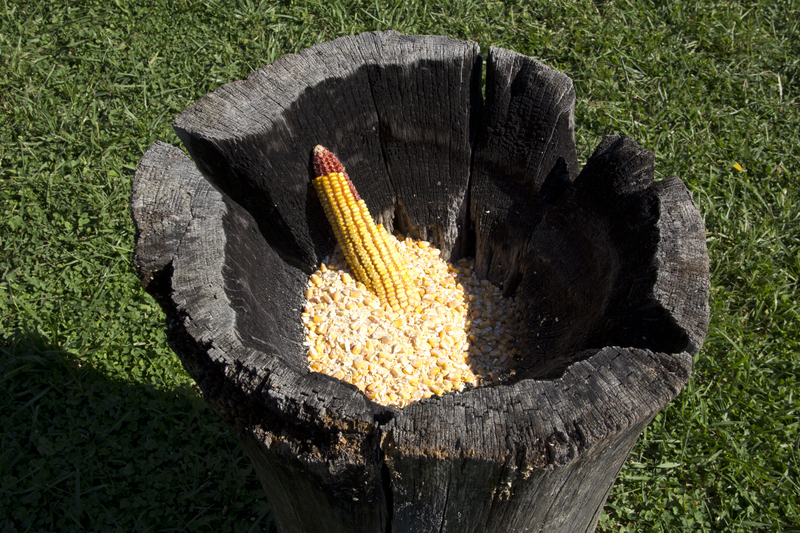 Outside the provided common rations of corn, preserved pork and salt herrings, enslaved Virginians often-but not always–had their own gardens-usually consisting of potatoes, sweet potatoes, green corn, pole beans, cymling squash, cabbages, melons, onions and various herbs. On one of the Bremo farms, there was a huge vegetable garden from which enslaved people may have received some produce. In some Central Virginia communities traditional West African foods persisted including sorghum, okra, black eyed peas, and peanuts. (See Edna Lewis and Thomas Jefferson!) Enslaved Virginians caught opossum, squirrel, rabbits, groundhogs, raccoons, small birds and turtles. and gathered wild fruits like persimmons, pawpaws, berries, and grapes to round out the apples and peaches that might be available to them. Enslaved African-Virginians often raised their own chickens and other poultry but rarely tasted fresh meat or poultry except on special occasions. Fish like herring, shad, sunfish, trout, catfish, gar and the like would be caught in the James and in millponds. Whatever the case may be, enslaved people cooked for themselves and the Big House, took care of the livestock, shucked and milled the wheat and corn, grew the garden and food crops, slaughtered animals every fall, and put meat to salt and smoke. Large plantations depended on the constant labor of all involved to feed the plantation community–Black and white. 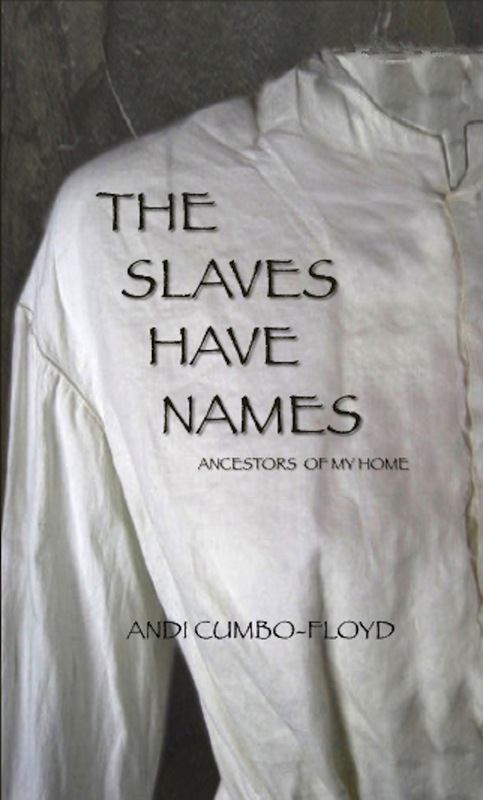 Please enjoy this interview with Andrea Cumbo-Floyd on her new book, The Slaves Have Names. 1. Tell our readers a bit about yourself and how your personal story with this plantation property began? What is your family connection? When I was 14, my parents decided we need to make a move – to find a better job for my dad and better schools for my brother and I. So Dad researched, and he ended up taking a position as an estate manager and tree nursery manager at a place in Central Virginia. 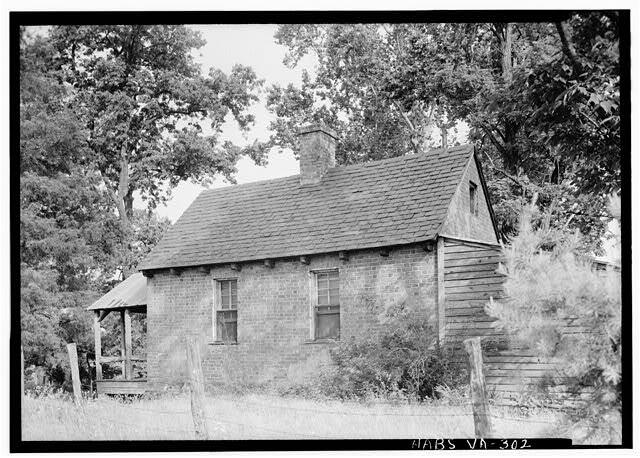 The “estate” – that’s what we called it when we arrived – was located on the James River, just west of Richmond. It was made up of 750 sprawling acres and adjoined two other estates owned by cousins of my father’s employers. So the place is 3,500 acres in total. In time, I came to know this place was a plantation – that enslaved people had built most of the buildings (although my family home is a 20th century construction and that the current owners are descendants of the original owner. 2. What was the nature of this plantation? Where is it located? What was grown there? How many enslaved people? Bremo Slave Quarters known as “The Hotel,” with two families to each floor and space for single men. This plantation was owned by a man named John Hartwell Cocke, a young contemporary and friend of Thomas Jefferson. It is located just southeast of Charlottesville in Fluvanna County, Virginia. Like Jefferson, Cocke was an experimenter, so while his plantation did grow the standards – wheat and some tobacco (although he came to think of that plant as “the devil’s crop) – he also experimented with things like Mulberry trees from which he hoped to gather silk to sell. In total 246 people were enslaved there from 1781 – the earliest date on record – until 1865. However, enslaved men also cleared the land and built a structure (which still stands) to claim the land grant in 1725. 3. Why was it important for you to document the lives and names of the enslaved people who lived and died at Bremo? Most importantly, I wanted these people to be known. In all my years connected with this place – over 25 now – I have almost never heard anyone mention the enslaved community connected to these plantations. I did know that there is an existing slave cemetery on site, and I did know two names – Primus and Cato – but beyond that and a few other pieces of trivia, I never heard any talk in any real way about the people who were foundational to this place. That made me sad . . . and it made me ashamed because I didn’t really even consider them until I moved away and went to college. I owe these people my home. They – in a very literal way – built the place I feel most comfortable, most safe. I don’t take that for granted, and I want other people to know of them, too. 4. We know that slavery existed, we know that it was terrible, but why is documenting yet another plantation important for us all? Why do we need to know more? First and foremost, these places were built by real people, people who are largely unacknowledged or captured in some giant abstract concept of “slavery.” I think that until we truly recognize that when we talk about “slavery” we are talking about the ownership, oppression, and often torture of individual human beings, we won’t be able to really begin to heal the wounds around this history in our nation. Also, these people are amazing. They survived a system that would – I know – kill me and many of the people I love if we were forced to live under it. Yet, they did more than survive – they thrived. At Bremo, Lucy Skipwith was a schoolteacher, Jesse Nicholas was a mason, Ben Creasy was a carpenter, and we see their handiwork everywhere when we visit these historic plantations. But we so often credit that skill to the masters – when it was enslaved hands that built these monuments. I think we need to honor their talent, their strength, and their legacy. 5. Are there any examples of food or culinary related history at Bremo? Kitchens? Crops? Animals? Because the Bremo Plantations are so well-preserved, we still have a lot of the buildings related to food production and processing at Bremo. We still have workings of the mills there and the mill pond and traces. We still have one kitchen and the pit for one ice house. My father has smoked hams in the original smoke house. In terms of crops, we don’t really have much except corn is still farmed there. Originally, there would have been sheep and horses – the original owner bred horses – but not really much beyond the subsistence needs – cow, chickens – of a working plantation in terms of animals. 6. Were you able to reach out to descendants? What was that process like? I did locate several descendants of the enslaved community at Bremo. With the help of my friends in the Central Virginia History Researchers, I was able to trace genealogies and locate descendants for at least two of the enslaved families – the Creasys and the Skipwith/Nicholases. I also was in touch with a descendant of one of the overseers here, Dudley Ragland. That process was absolutely amazing. I cannot quite capture in words the honor it was to see a descendant stand before the grave of his 4-times great-grandfather or to see a little girl trace the name of her 5-times great-grandfather. It was beyond powerful. 7. How can we get a hold of this exciting work? The Slaves Have Names is available in paperback and ebook through Amazon, and if someone would like a signed copy – or would like to see images of some of the places that the enslaved community at Bremo lived and worked – they can visit my webpage for the book. Thank you so much, Michael. What an honor to be able to tell your readers about the amazing people from Bremo.